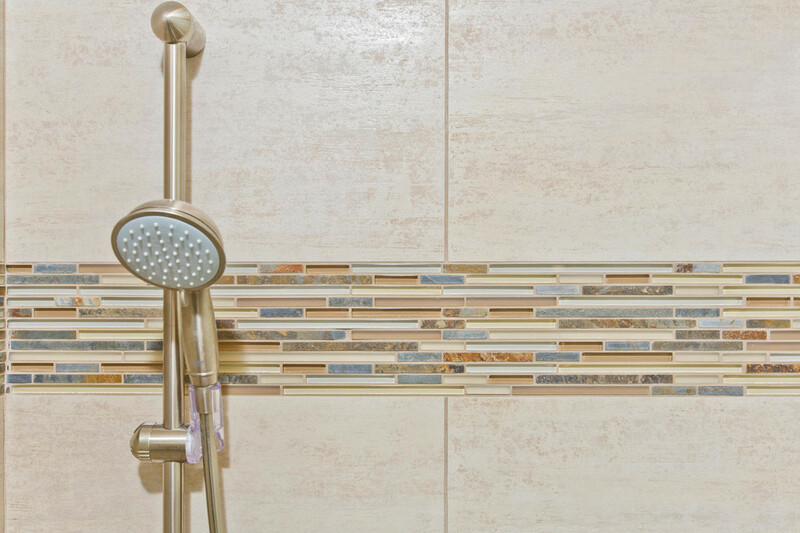 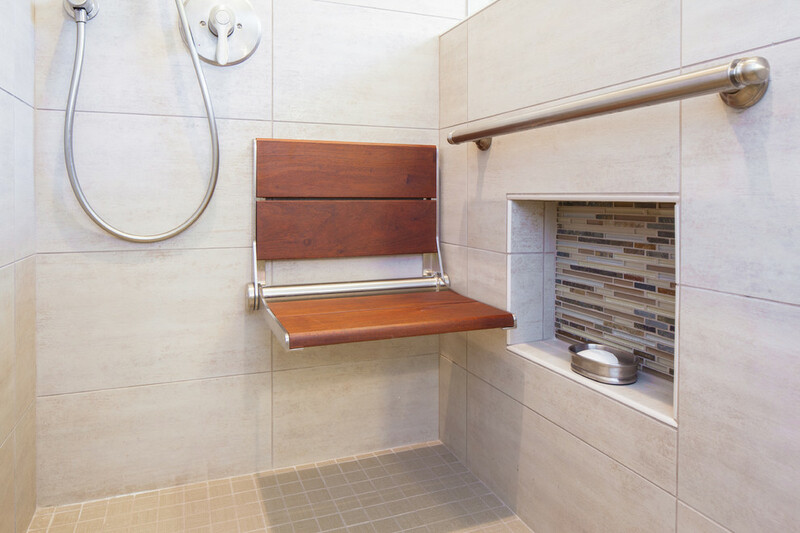 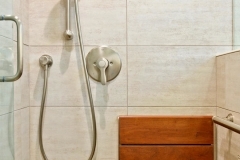 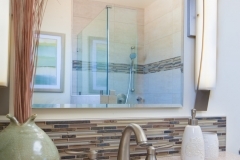 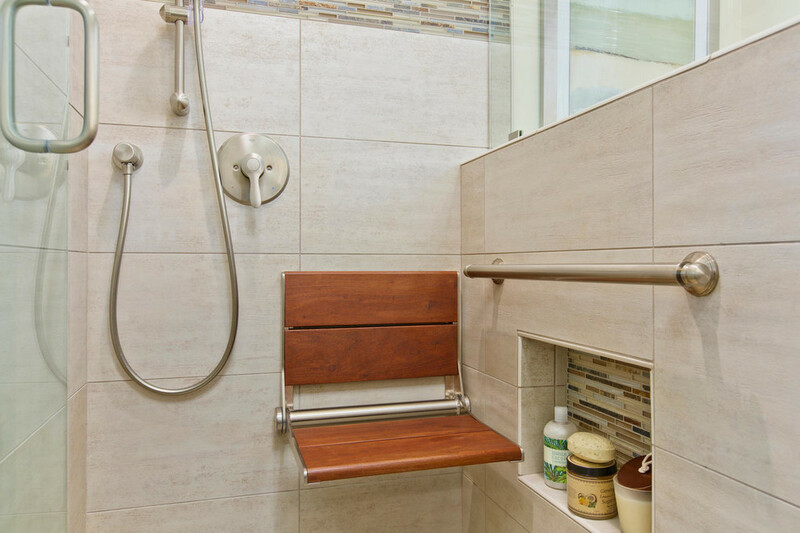 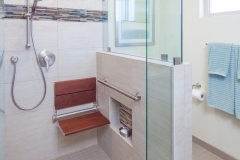 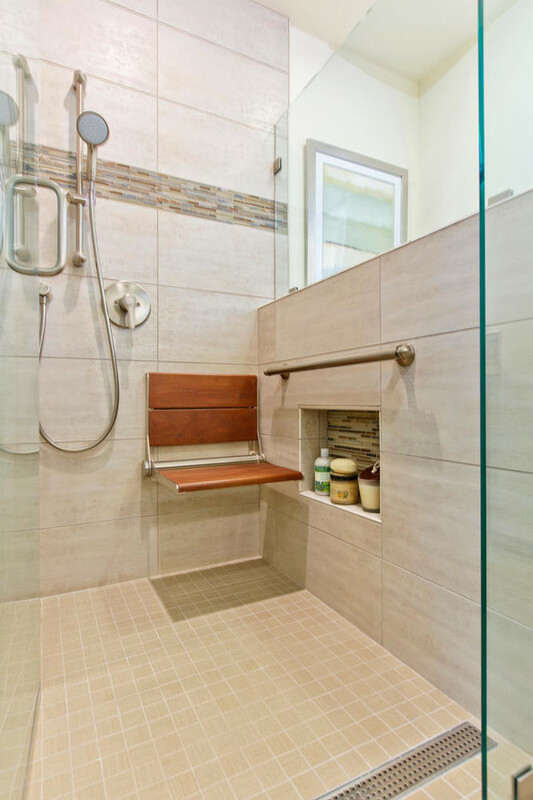 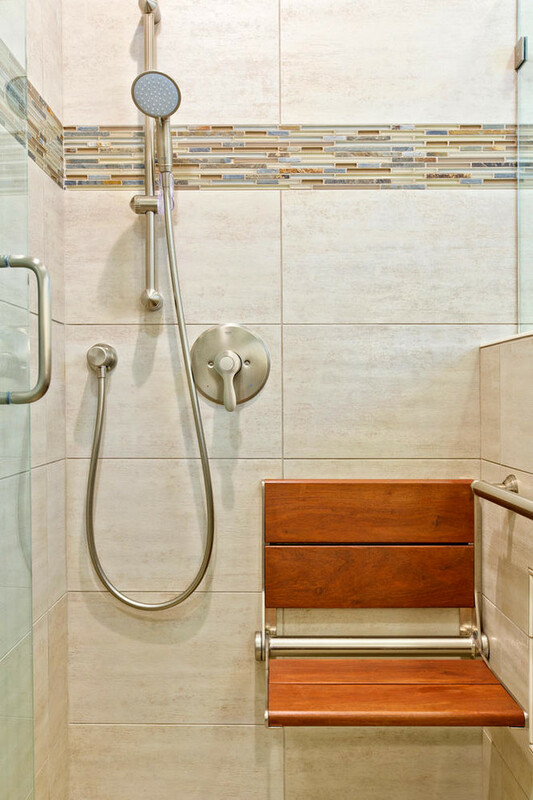 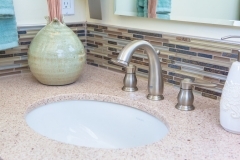 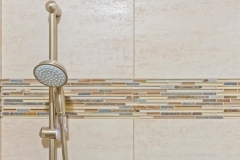 Our client anticipated reduced ability as she aged and wanted an accessible shower that was designed to improve bathroom functionality and would be categorized as Universal design. 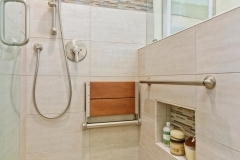 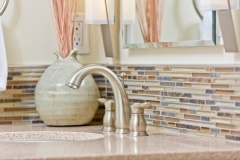 Cairns Craft Design and Remodel are aging in Place specialists whom are certified in CAPS (Certified Aging in Place Specialists). 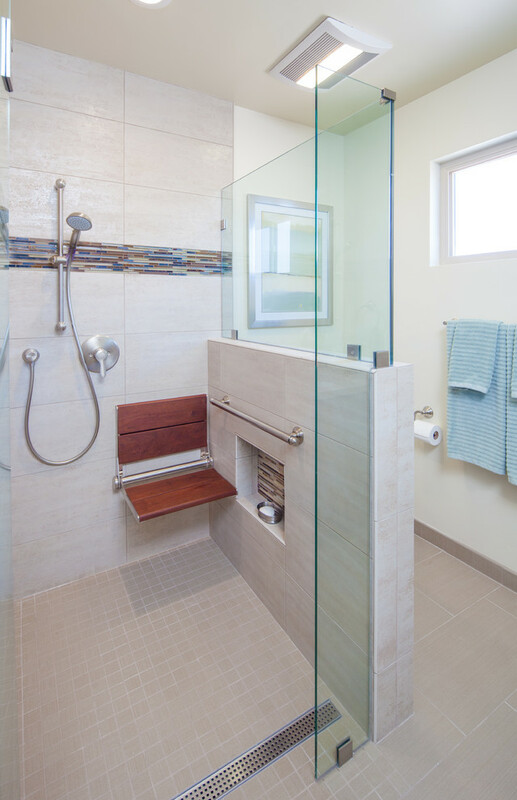 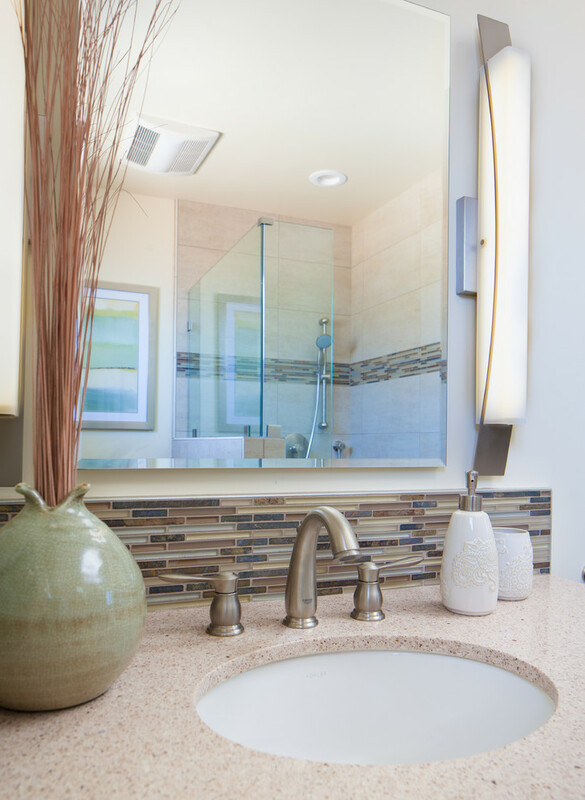 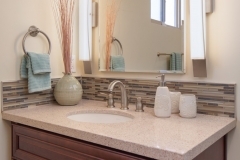 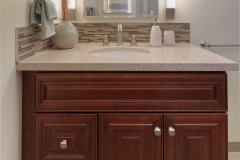 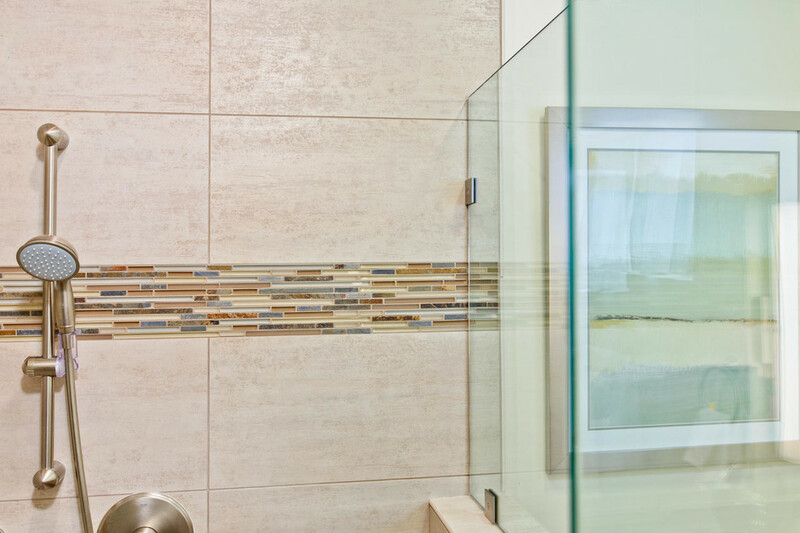 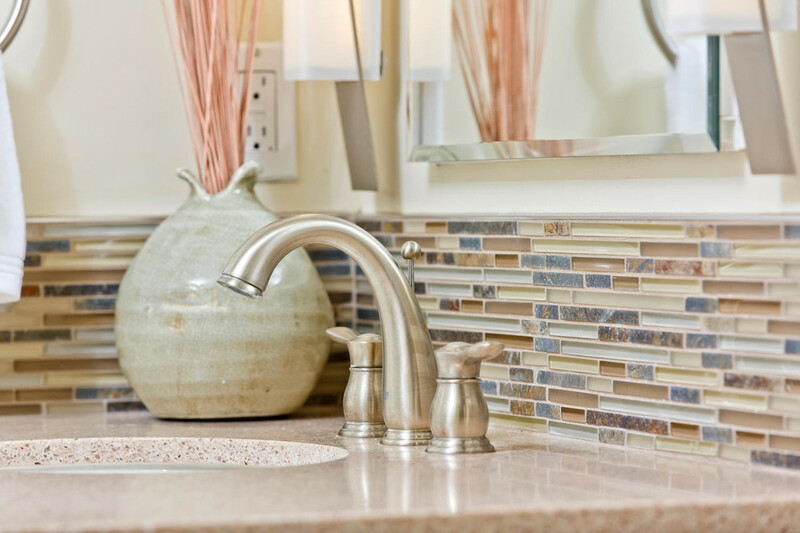 With their extensive knowledge, they designed a transitional bathroom addressing the present and future needs of their client. 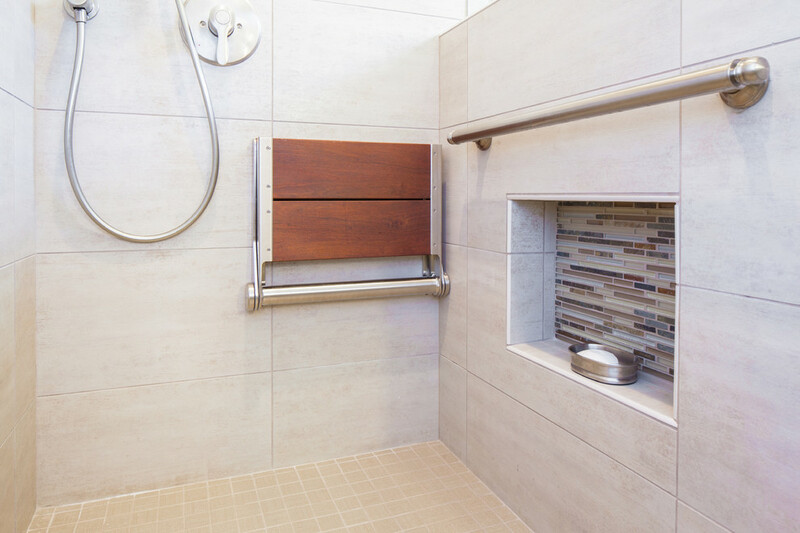 Updating the existing poor lighting and replacing the current small tile, we then created a curb less shower with a linear drain. 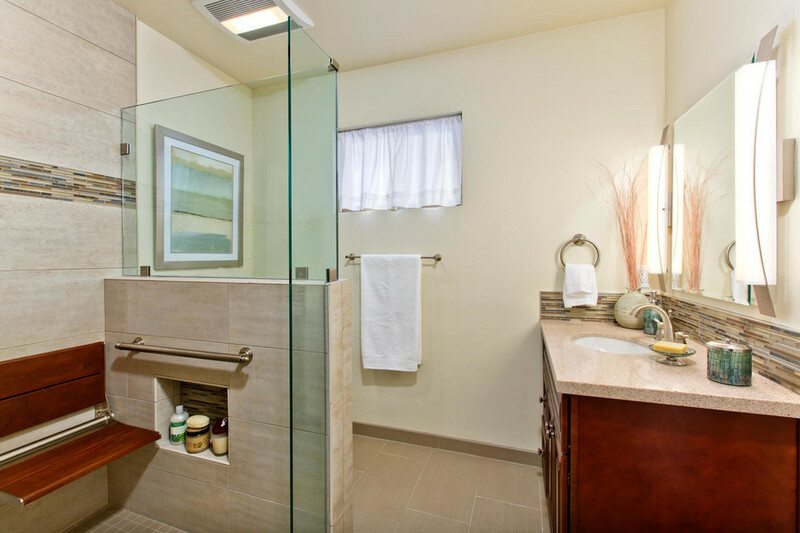 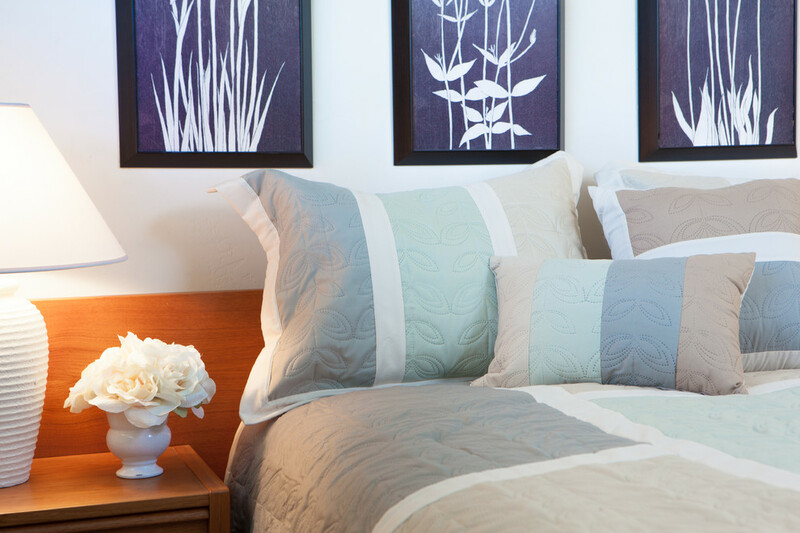 This design encompassed a sense of spaciousness. 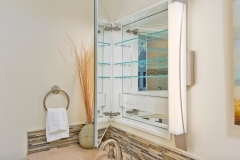 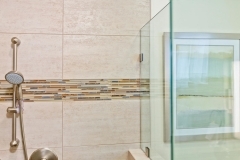 A shower surround was then designed by constructing a pony wall and glass enclosure with brushed nickel square glass clamps. 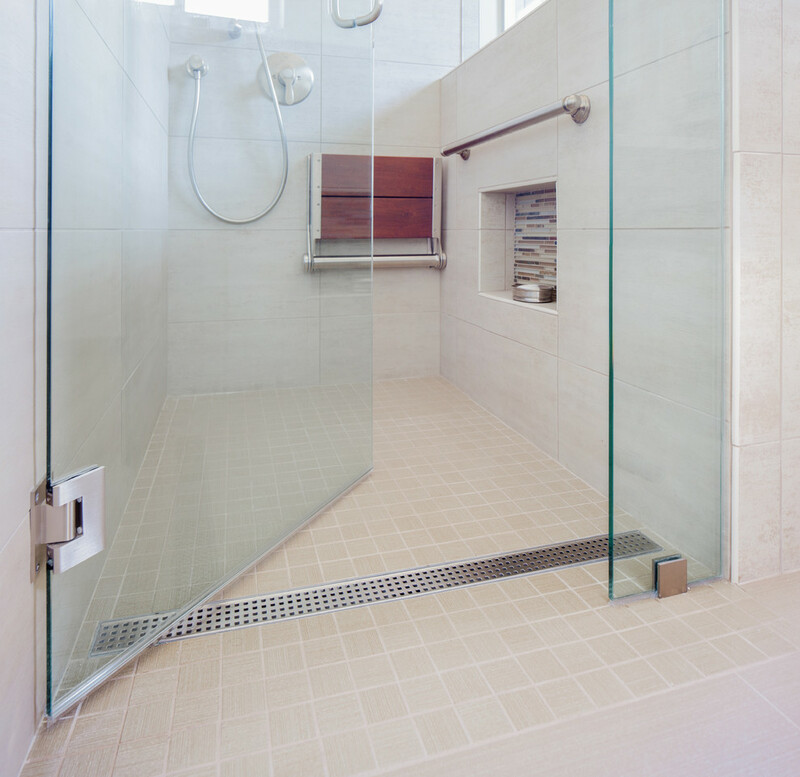 The simple, clean geometric forms of the shower fittings include a handheld shower. 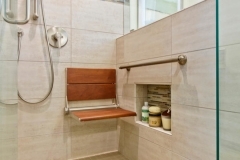 In order to give our client more comfort and stability in the bathroom, we installed a balance bar above the shampoo/soap niche and a folding teak wood bench seat. 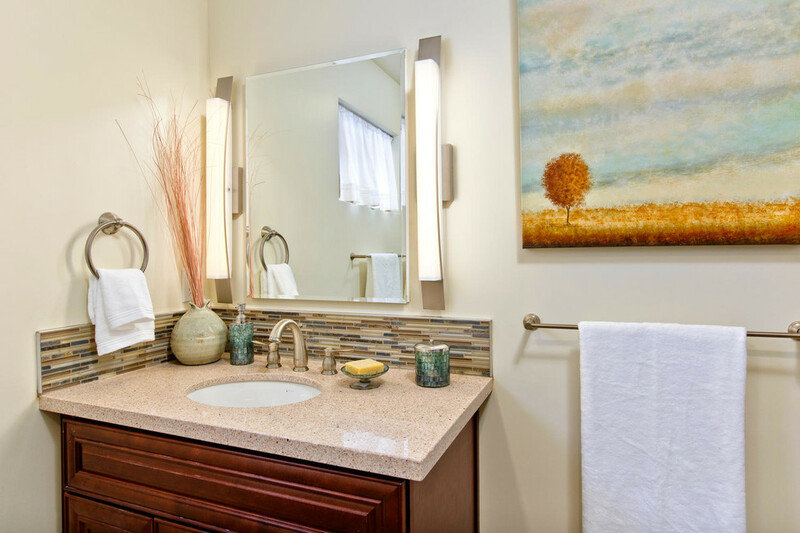 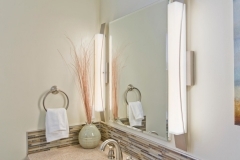 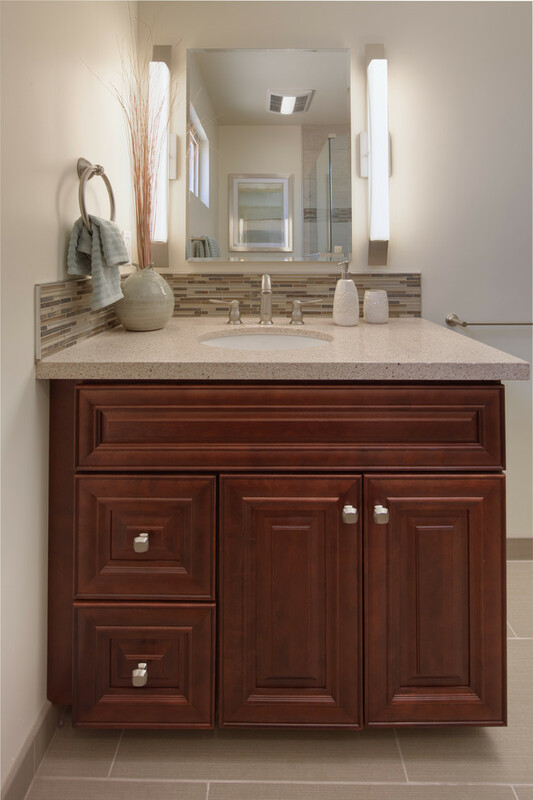 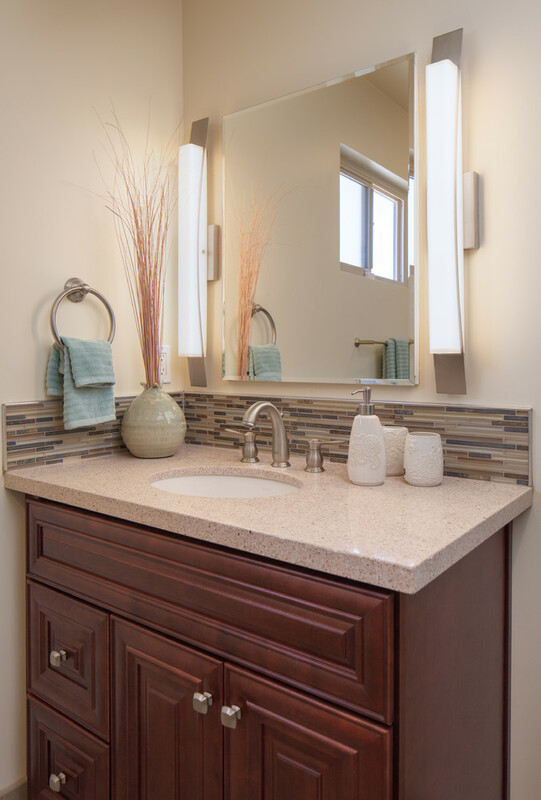 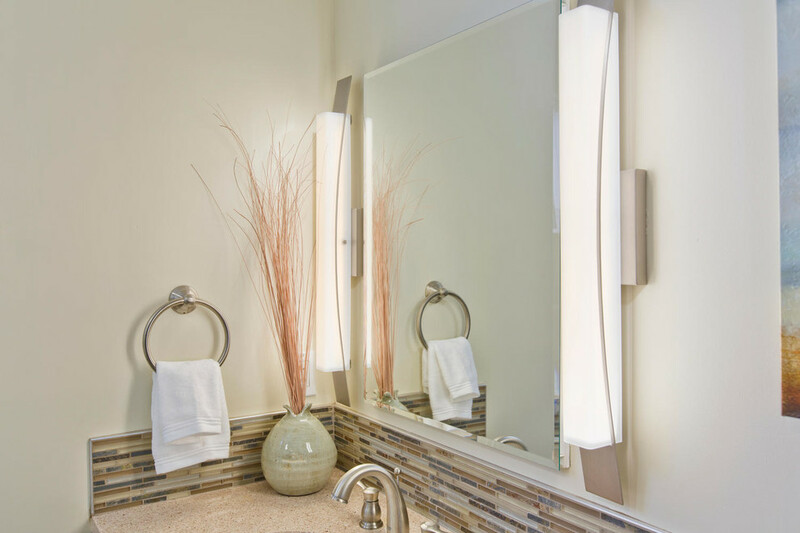 We improved the lighting by installing a LED Damp-Location Rated Recessed Light; also we placed LED sconces flanking the Robern Medicine Cabinet to give realistic and flattering light.